This CERT Deluxe Action Response Unit is a comprehensive collection of search and rescue, safety and medical supplies for emergency response team members. 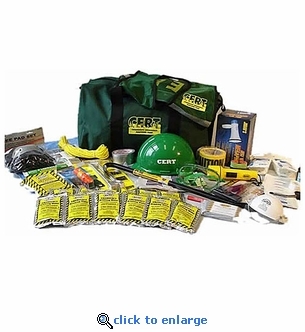 All items are packed in a green CERT labeled gear bag and will give experienced team members the tools and safety supplies they'll need to act quickly to make a difference when a disaster strikes. 12 Sterile Gauze Pads 4" x 4"